Fire Emblem Heroes, Nintendo’s smart device game, has quite the following since it launched earlier this year. Nintendo has announced a brand new event called the Tempest Trials has begun today. It contains a series of maps you must fight through. New quests and a special challenge await. Read on for details! Get ready for a new event: Tempest Trials! This special event introduces a series of maps you must fight your way through from beginning to end. Gather your strongest allies and challenge your way to the final map! Defeated allies can’t be revived. If all of the allies on your team are defeated, you can immediately make a new team and try the map again. However, defeated allies cannot be used again until the final map is cleared, or until all your teams are defeated and you attempt a new trial. During this time, there will also be quests related to Tempest Trials. Also, to celebrate this new event, a new Xenologue Map has been added. The Xenologue Maps can be played by going to Battle -> Story Maps -> Paralogues. But that’s not all! We’re continuing the celebration with a special Tempest Trials Kick-Off Campaign! It will take a careful strategy to advance through the Tempest Trials to get these Orbs and Hero Feathers! Tempest Trials starts on 6/8/17 at 12am PT and runs through 6/21/17 at 11:59pm PT. 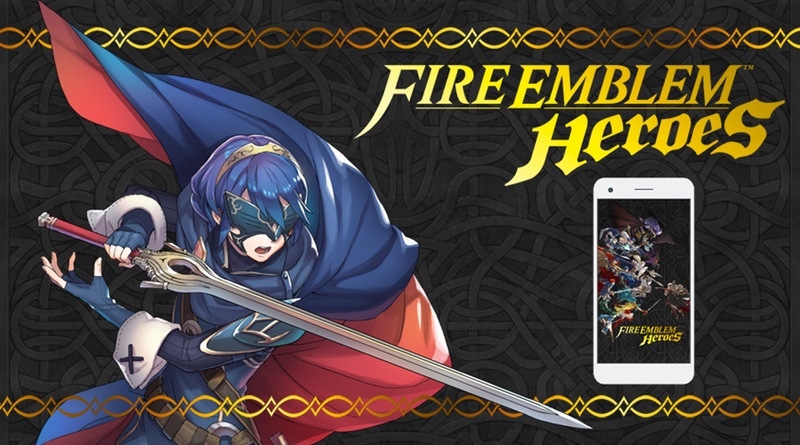 For more information about Fire Emblem Heroes, visit the official site.